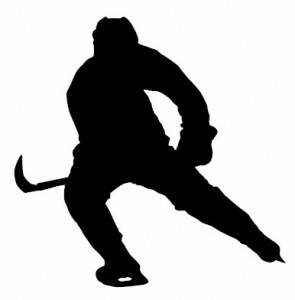 What Is The Definition Of Left Wing Lock In Hockey? 1. This defensive strategy in hockey involves one of the forwards dropping back to assist with defense while the other two forwards forecheck and push the opposing team toward the side. This helps to prevent rushes while allowing for a quick counterattack after a turnover. Despite the name, either the left or right wing may drop back as part of this play. When the wing drops back in coverage with the defenseman, each player is then responsible for defending a third of the ice. 1. To slow down the attack, Hull falls back in the left wing lock to help provide some additional defense.